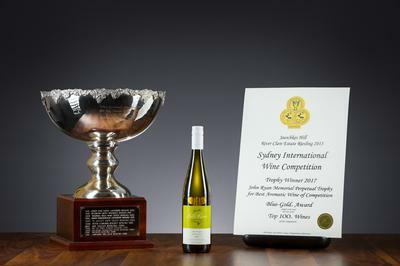 My Steven's 2006 Semillon has a heap of Gold Medals, at various shows and in various classes, and a Trophy. Are classes standard for all wine shows? If "yes" where could I look at a list of such Classes? Australian wine shows typically attract several hundred or maybe thousands of entries of all styles of wine - sparklings, red, whites, pinks, desert wines and fortifieds. The show organisers divide the wines up into classes so that the wines are judged against similar style wines, reds with reds, whites with whites etc. The classes are typically arranged along varietal lines so all the Semillons get judged together, or perhaps there would be separate classes for current vintage Semillons and aged Semillons. Then there may be separate classes for oaked and unoaked wines of a particular variety. Within each class the wines are judged and Gold, Silver and Bronze Medals are awarded. More than one medal, or none at all can be awarded. So in a class of 30 wines the wine judges may give 3 Gold Medals, no Silver Medals and five Bronze Medals. The classes are numbered as a matter of convenience rather than as some sort of ranking. Thus to win a medal in Class 1 is no better than winning a medal in Class 41. There is no standard class system, each show sets its own system and may in fact alter the class numbers form year to year. For example until a few years ago there was no class for Pinot gris/grigio in most wine shows. Thus these wines would be judged in a class such as "Other White Varieties and Blends". As more wines are made from the variety more wine shows are seeing fit to give Pinot Grigio its own class, hence the numbering system is changed. Trophies are given for the best wine in a particular category at the show. Not all classes have there own trophy. So a show might have trophies for Best White Wine, Best Red Wine, and Best Wine of the Show. Generally only one wine wins each trophy. They are often named after sponsors, the most famous trophy is the Jimmy Watson Trophy given for the best Young red wine at the Royal Melbourne Wine Show. That's very interesting Darby and I appreciate your extremely quick answer to a question that has puzzled me for some time.